Two anti-migrant parties are leading in the Austrian parliamentary election, with the conservative People’s Party (OVP), headed by Foreign Minister Sebastian Kurz, in first place, according to preliminary official results. The right-wing Freedom Party (FPO) is second. At just 31 years old, Kurz is set to be become the world’s youngest national leader. According to the preliminary results published by the Austrian Interior Ministry, Kurz’s OVP has taken a clear lead in the election with 31.4 percent of the vote. The right-wing anti-immigrant FPO came in ahead of the Social Democrats in a very close race for second place. While the FPO secured 27.4 percent backing, the Social Democrats received 26.7 percent. Both parties repeatedly swapped places as the votes were being counted. The results are regarded as a success for the right-wing populists, as they received seven percent more of the vote than in the previous election, in which the FPO received 20.5 percent. The results for the Social Democratic Party of Austria (SPO), which won the previous election and was the senior member of the ruling coalition before the snap election, is already being called by some analysts the worst in the party’s history, as previously it always came in either first or second. In the view of the election results for the Social Democrats, SPO head and former Chancellor Christian Kern said that he will still hold the post of party chief. “We have a responsibility to our voters,” he told Austrian ORF broadcaster. The right-wing populist party now has a good chance to enter a coalition government. With 31 percent of the vote, the OVP is now expected to become the strongest force in the Austrian National Council, which has 183 seats. It still, however, lacks a majority in the legislature and could seek a coalition with the right-wing populists, as a revival of the OVP-SPO coalition seems unlikely. Other parties have so far managed to secure only single digits. The liberal NEOS (The New Austria and Liberal Forum) received 5.3 percent of the vote, while the Pilz List received 4.4 percent. The Greens suffered a crushing defeat and even fell short of clearing the four-percent hurdle needed to get into the parliament. The final results will not be announced until the middle of the coming week, as absentee ballots and ballots cast by voters away from their homes will be counted first. The election campaigns were dominated by the issue of migration. Kurz who has been Austria’s Minister for Foreign Affairs and Integration since 2013, particularly focused on the refugee issue in his campaign. Foreign Minister Kurz previously backed plans to block refugee routes into Europe and supported a ban on full-face veils, which came into force in Austria just weeks before the election. He also repeatedly spoke about the need to foster integration, particularly advocated shutting down Islamic kindergartens where children have little or no command of German. 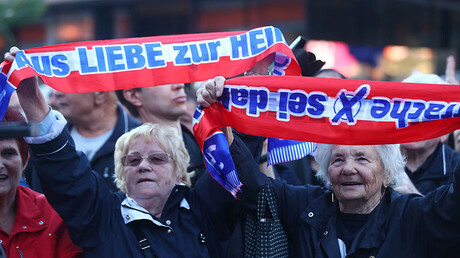 Public support for the FPO, founded by a former Nazi SS member after the end of the World War II, saw a major boost during the refugee crisis, as the party proposed to stop immigration and criticized Islam. 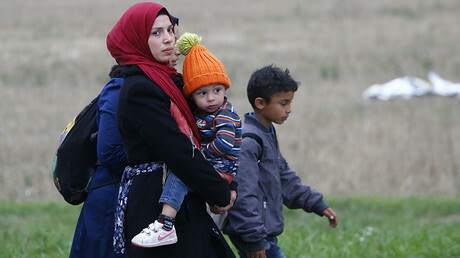 Since 2015, Austria received around 150,000 asylum requests, which is equivalent to over one percent of the population. In December 2016, FPO candidate Norbert Hofer fell short of being elected president after running neck and neck with left-leaning candidate Alexander Van der Bellen. Ahead of the October 2017 parliamentary election, FPO candidate Heinz-Christian Strache managed to win significant public support by focusing on the issues of immigration, unemployment, the minimum wage, and pensions. The OVP-SPO coalition was set to rule Austria until September 2018, but it collapsed in May after failing to agree on economic reforms for months. This prompted then-head of the OVP Reinhold Mitterlehner to resign.His successor, Sebastian Kurz, called for an early election, eventually scheduled for October 15.